Bitdefender Antivirus – Is it worth the money? Should you be using an virus software such as Bitdefender Anti-Virus? Well despite taking all the precautions you can while online, there are good reasons why you still need to protect your computer with antivirus software. Of course, being careful what you browse online will definitely lower your risk for viruses. That said, many people are under the impression that by avoiding browsing suspicious sites, downloading files from shady sources or clicking through links from people you don’t know is the only way to be infected. However, while this is the most common people will get a virus, unfortunately this isn’t the only way that malware can spread. Bitdefender is a top internet security company that currently protects 500 million users around the world. It offers complete security coverage with just one product. You can be sure it offers ironclad protection against threats such as viruses, Trojans, spam and rootkits. What’s great is it’s compatible with Windows, Mac OS X and Linux. It gives you the confidence that your privacy and date are in safe hands. So what are some of its top features? 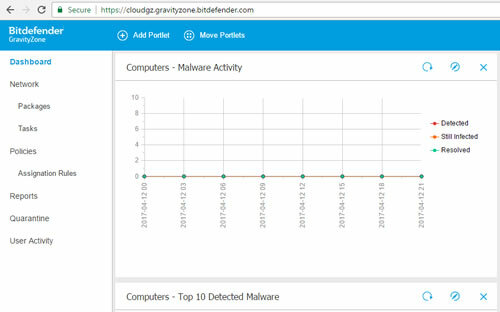 Bitdefender has a reputation for the best virus detection rate in the malware industry for the past 5 years. That’s pretty good! In order to stay top of their game, they use a host of revolutionary technologies to detect and immediately block all threats, anywhere in the world. But what’s really great, is that it does all of this without slowing down the performance of your devices at all. As well as being incredibly effective, it’s also extremely fast. Their technologies ensure that it reacts instantly to malware while maintaining great performance. Through the use of Bitdefender Autopilot, it runs your entire security by itself. This means that it will make the best security decisions for your device without asking for your input, with nothing to set up or configure. It should only be your decision what you want to share. Bitdefender Antivirus has integrated features that makes it near on impossible for hackers or any kind of malicious programmes to invade your privacy. It also means that you can bank and purchase online both worry-free and fast, preventing fraud. Another great addition is social network protection. You can now stay safe from any shady links or threats that may be unknowingly passed on through the use of social media. Other features include tools such as cloud integration, password manager, file shredding and ransomware protection. For a full run down of all its features in more detail, click here. With increasing security concerns in this modern day, it’s important that we have an anti-virus solution that we can rely on. Offering advanced threat protection for both business and home use, that’s fast and easy to use, Bitdefender enables you to stay safe. To find out more about Bitdefender anti-virus or to make a purchase, contact us here at Advance Computers. Call us today on 01904 691311.